The All India Football Federation (AIFF) has finally announced the telecast partners along with the fixtures for the upcoming I-League season. The League will feature Real Kashmir as the first ever representatives from the state of Jammu and Kashmir in the Indian Football Top Division. The League is also set to be an 11-team affair after the All India Football Federation reinstated Churchill Brothers in the I-League after the Red Machines were relegated in the previous season. 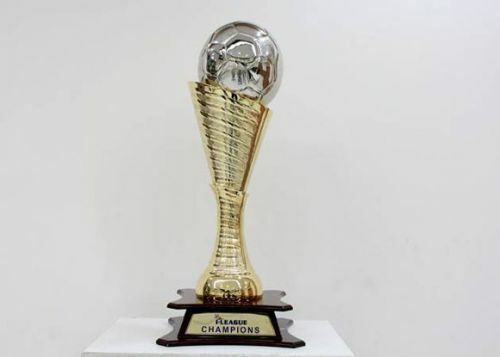 I-League has also been nominated by the Asian Football Confederation (AFC) for SPIA Award in the “Best Developing Football League of the Year”. SPIA honours Sports entities and athletes across Asia. After the provisional fixtures were leaked by one of the clubs on 5th October, there were widespread speculations about the authenticity of the same. The Governing body finally has conveyed through a Press Release announcing the official fixtures till the 21st Round of matches. The last round of games will be finalised depending upon the Championship and Relegation Scenario in the month of March. The League begins with Chennai City hosting AIFF's developmental side Indian Arrows on 26th October at 5 PM in the Jawaharlal Nehru Stadium, Coimbatore. Minerva Punjab begin title defence on 28th October against Churchill Brothers at 2 PM in the Tau Devi Lal Stadium, Panchkula. The Kolkata Giants begin their 12th I-League Campaign on 27th October as East Bengal travel to Imphal to play NEROCA at 2 PM. Mohun Bagan travel to Kozhikode to cross swords with Gokulam Kerala at 5 PM, the same day. Week 1 of the I-League will also feature the elusive 'NorthEast Derby' when Shillong Lajong host Aizawl FC on 28th October at 5 PM IST. Real Kashmir have been given a bye in Round 1. The 2nd Division Champions play their maiden I-League game on 31st October when they play Minerva Punjab in Chandigarh. Srinagar will host their first ever I-League game on 6th November when Real Kashmir would play hosts to Churchill Brothers. Indian Arrows have listed Barabati Stadium, Cuttack and Kalinga Stadium, Bhubaneshwar as their home venues. Star Sports is all set to be the official telecast partners of the league while Hotstar will stream the games on its website and app. However, it is not yet clear about the number of games set to be televised and produced for streaming after Media Reports back in August suggested that less than 50% of the games are set to be telecast. Teams are undergoing their pre-season as of now with East Bengal being the sole team touring Malaysia. Aizawl FC, Shillong Lajong and Churchill Brothers are plying their trade in their respective state leagues. Will we witness yet another 'Leicester' story be scripted or the heavyweights will take the league with ease? Drop down your predictions in the comment section below.